We believe that you are the realest poets on the city’s scene. We love that you are a 501 c3 non-profit community service and mentoring organization focusing on mentoring young adults, encouraging good communication, and oratorical skills using spoken word poetry and the arts. We love that you organize community programs, such as Operation Mustard Seed (OMS) Coats for the Cold, and OMS Annual Community Health Fair, and various workshops to fulfill your mission to the community. We love how that mission keeps growing and evolving and taking into account facts on the ground. We love your creation in teen open Mic, Flow Tactics, hosted by teen artist the 3rd Saturday of every month. We love your partnership with UAB’s Anthro-Teach environmental non- profit organization (teen poetry slam), and Family Impact Counseling Center (specializing in mentoring the kids of incarcerated parents). We love how you describe yourselves between laughs, hope, and love in this video interview. We love how John Paul Taylor opens the door to all the members of this community—and to anyone who wants to work for love, peace, and justice. 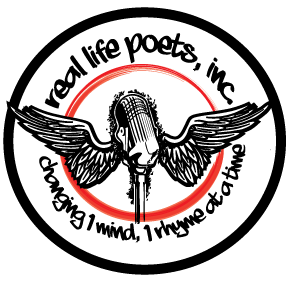 We love how you use words and the arts to fulfill your mission of inspiration by changing minds one rhyme at a time. We don’t know where to begin to describe all the ways in which you bring poetry to young minds and infuse young lives with the power of the spoken word, so we are going to quote a few of the excellent local journalists who have taken the time to cover you thoroughly. The organization started with a mission to bring spoken word to places it hadn't been spoken before. Being from a city where the popularity of the art form is still in its infant stages, Taylor and his two childhood friends knew they were in unclaimed territory. Sistah's Soul Food became their first home during the beginning of 2007. The East Lake restaurant was no bigger than a small, one-bedroom apartment, leaving little room for a stage, DJ equipment or microphone stands. They wanted to strip spoken word of its pageantry, leaving only enough space for the people to speak about their worlds. They spread the word about the first open mic night using old-school advertising: handing out flyers in the streets where Taylor played football with the other east side Birmingham kids growing up. "Hey, young brother, listen to this," they would say to random groups of people just strolling by before they spit a couple of rhymes as a sample to what the event had to offer. To their surprise, the passerby would spit rhymes back. That's how they knew they had something. The people had something to say. Their initial efforts didn't bear much fruit. But the bi-weekly open mics that only had five people in attendance when it first began boomed into a block party during the first anniversary. The restaurant overflowed with people, nearly spilling into the street. We can’t wait to help promote your spoken word festival at UAB in April—and to work with you in opening and passing the mic to the young poets and activists in our community that make this city magic.